The never ending parenting quandry – accept a long afternoon of bored loneliness, or be the host with the most, and spend the afternoon awkwardly smiling through gritted teeth and face an epic tidy up sesh? In all honesty, the tidying up never takes as long as you think eh? 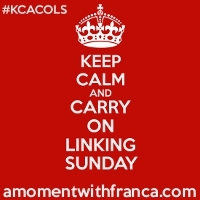 Thanks for linking up to #coolmumclub, sausages and sauvignon at mine?! Ahhhh I can soooo relate to this! After school play dates so exhausting and especially in the early days when you are also trying to make friends with the school mums! Oooh, I see from the comments that you got invited back!! yay!!!!! I’m like you-I’d rather have an epic mess at my house, rather than have to face packing the changing bag for every eventuality (and still forgetting the thing that will turn out to be most important,) and having to drive to/find/park at some god awful place that I’d rather be anywhere but at!! I love your list description of things-poor doug and his bumhole violation…! I was ok with everything, but did hold my breath at the whirring drill being carried by a small child…! in an entirely high-five-to-you-mums-for-not-batting-an-eyelid type way! I always wanted to be the cool ‘yea, they can do dangerous stuff, whatever,’ type mum, but unfortunately my nerves weren’t what they were!! they look like they had a tonne of fun though, and if your children are making friends, and you’ve been invited back-that’s a win!! Well, ‘we’ were invited back, which actually meant The Bear … without me! Maybe I didn’t quite make the grade after all! Ha ha. It would seem he behaved well, apart from eating a huge wodge of butter off a knife. Honestly that’s the least of my worries!